After last week’s privacy debacle over iOS apps being allowed to access and shunt Address Book data without explicit user permission, Apple faced pressure from U.S. legislators as well. The primary contention of both bloggers and lawmakers is that the offending apps in blatant violation of Apple’s app policies, managed to pass through the stringent App Store vetting process – indicating the company had some idea about what was going on, without stopping it. A letter addressed to CEO Tim Cook from two U.S. senators, referring to last week’s blog post by Dustin Curtis that highlighted the Address Book privacy issue, asked Apple to make clear its developer guidelines and the app approval process. Apple has until February 29 to respond to the letter. Late yesterday, Apple announced that iOS apps that require Address Book data will now be forced to seek user approval at several prompts, before being able to access the data. According to CNET, developers say Apple's new developer policy will not affect them too much, but that of course, apps will have to be modified to comply. In most cases, this will just be a small update. Explicit user permission will be similar to how apps ask users if they can share user data. Last week, independent iOS app developer Arun Thampi blogged about his discovery that the social networking app "Path" was accessing and collecting the contents of his iPhone address book without ever having asked for his consent. The information taken without his permission - or that of the individual contacts who own that information - included full names, phone numbers, and email addresses. Following media coverage of Mr. Thampi's discovery, Path's Co-Founder and CEO Dave Morin quickly apologized, promised to delete from Path's servers all data it had taken from its users' address books, and announced the release of a new version of Path that would prompt users to opt in to sharing their address book contacts. The data management section of your iOS developer website states: "iOS has a comprehensive collection of tools and frameworks for storing, accessing, and sharing data. ... iOS apps even have access to a device's global data such as contacts in the Address Book, and photos in the Photo Library." The app store review guidelines section states: "We review every app on the App Store based on a set of technical, content, and design criteria. This review criteria is now available to you in the App Store Review Guidelines" This same section indicates that the guidelines are available only to registered members of the iOS Developer Program. However, tech blogs following the Path controversy indicate that the iOS App Guidelines require apps to get a user's permission before "transmit[ting] data about a user". In spite of this guidance, claims have been made that "there's a quiet understanding among many iOS app developers that it is acceptable to send a user's entire address book, without their permission, to remote servers and then store it for future reference. It's common practice, and many companies likely have your address book stored in their database." One blogger claims to have conducted a survey of developers of popular iOS apps and found that 13 of 15 had a "contacts database with millions of records" - with one claiming to have a database containing "Mark Zuckerberg's cell phone number, Larry Ellison's home phone number and Bill Gates' cell phone number." - Please describe all iOS App Guidelines that concern criteria related to the privacy and security of data that will be accessed or transmitted by an app. - Please describe how you determine whether an app meets those criteria. - What data do you consider to be "data about a user" that is subject to the requirement that the app obtain the user's consent before it is transmitted? - To the extent not addressed in the response to question 2, please describe how you determine whether an app will transmit "data about a user" and whether the consent requirement has been met. - How many iOS apps in the U.S. iTunes Store transmit "data about a user"? 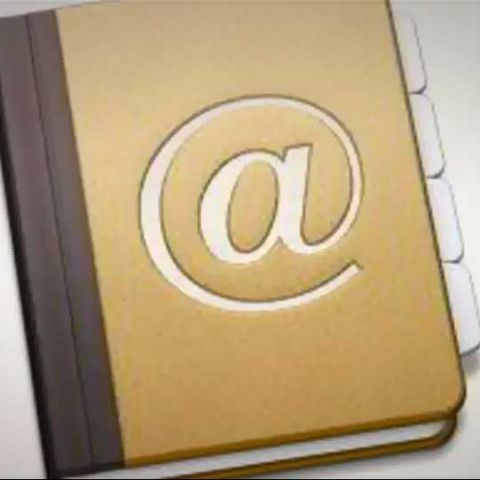 - Do you consider the contents of the address book to be "data about a user"? - Do you consider the contents of the address book to be data of the contact? If not, please explain why not. Please explain how you protect the privacy and security interests of that contact in his or her information. - How many iOS apps in the U.S. iTunes Store transmit information from the address book? How many of those ask for the user's consent before transmitting their contacts' information? - You have built into your devices the ability to turn off in one place the transmission of location information entirely or on an app-by-app basis. Please explain why you have not done the same for address book information. Can you suggest some laptops with LED/ AMOLED/ OLED display other than apple mac book?